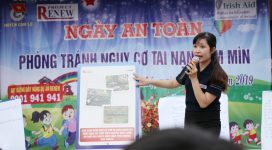 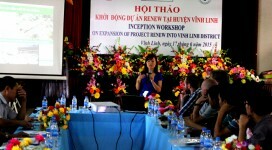 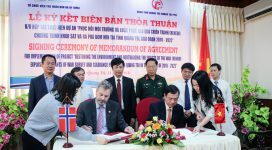 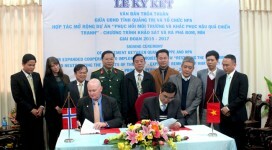 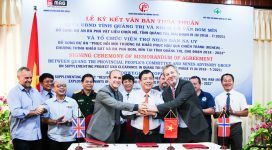 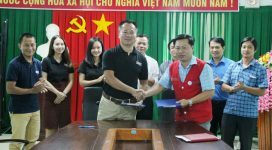 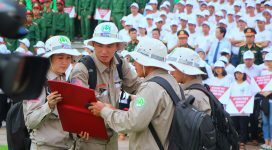 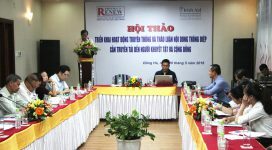 The signing, which took place at the Red Cross Association headquarters, officially kicks off a pilot community-based Mine Risk Education (MRE) project in Quang Ngai Province supported by Project RENEW’s MRE program and funded by Irish Aid. 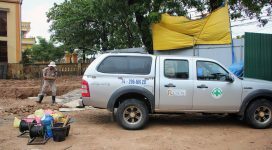 Since 9 October 2018, two BAC teams have been deployed to Thuan Dau Village of Hai An Commune to clear a 500,000-square-meter Confirmed Hazardous Area that our Technical Survey teams had previously defined in the village. 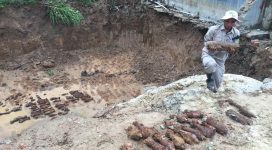 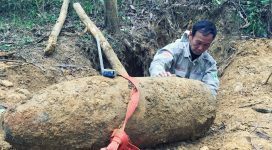 Our EOD team on Thursday safely removed 590 pieces of Unexploded Ordance from a construction site on the southern bank of Thach Han River. 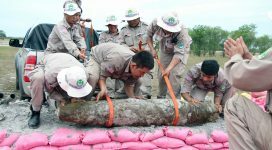 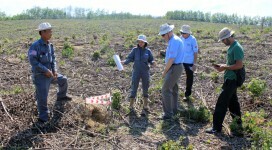 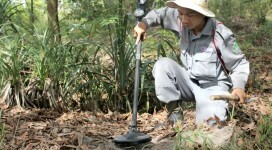 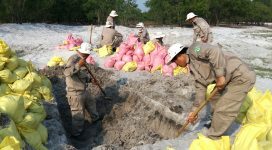 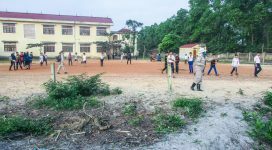 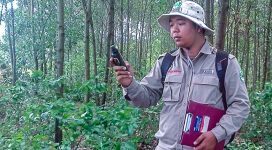 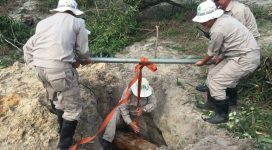 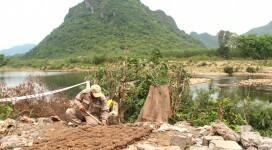 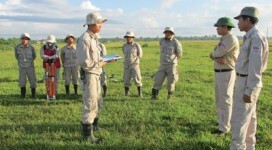 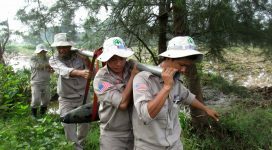 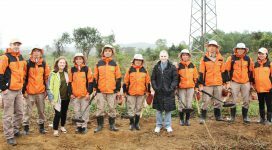 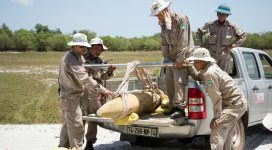 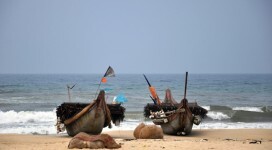 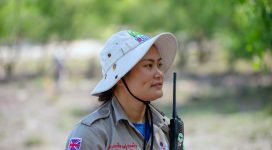 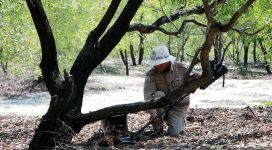 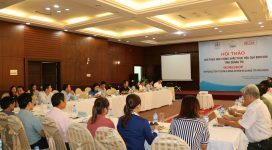 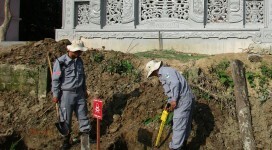 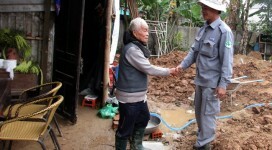 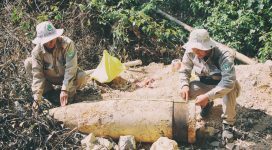 This addition of human resources will increase NPA-RENEW human assets in Quang Tri Province up to 32 teams made up with 1 Non-Technical Survey team, 25 Technical Survey teams, 4 Explosive Ordnance Disposal teams, and 2 BAC teams. 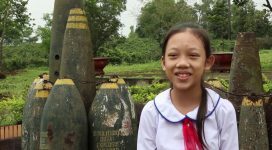 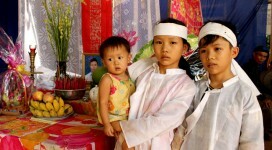 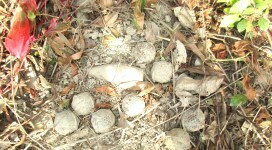 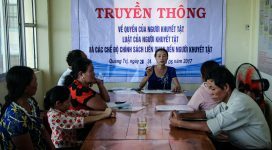 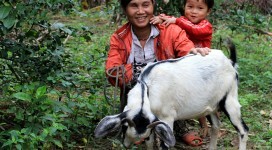 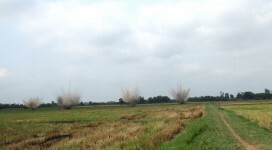 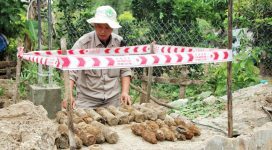 For four decades, Trieu Hoa Commune residents have lived anxiously with cluster munitions remained in their rice fields. 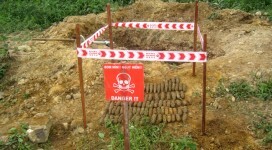 The lingering fear is now over. 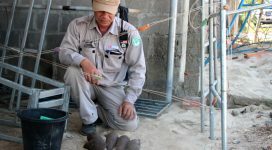 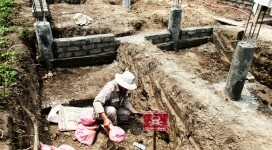 Local workers who were building a guest house in the Old Citadel unexpectedly uncovered a cache of dangerous wartime munitions and some soldiers remains. 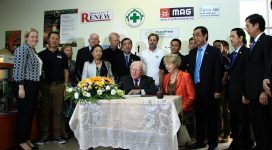 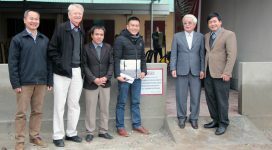 The Quang Tri Orthopedic Workshop was re-launched on Thursday, 12 April 2018, following a ribbon​-cutting ceremony participated ​in ​by representatives of Project RENEW, Department of Health​, and Department of Foreign Affairs ​with Quang Tri Provincial General Hospital. 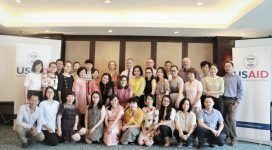 It was our pleasure on Wednesday to welcome U.S. 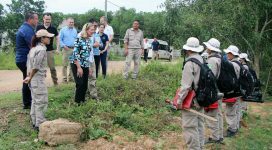 Ambassador Tina Kaidanow, Principal Deputy Assistant Secretary of State for Political-Military Affairs, to our operations in Quang Tri Province, Viet Nam as part of her visit to Viet Nam. 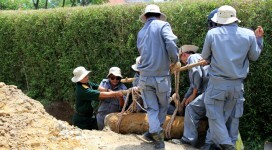 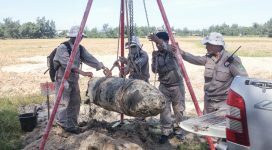 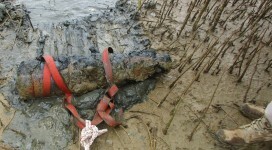 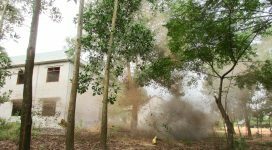 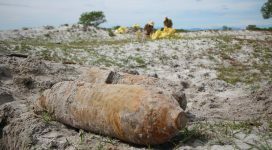 An 8-inch (203mm) U.S. naval shell was safely destroyed by a mobile Explosive Ordnance Disposal (EOD) team of Project RENEW-Norwegian People’s Aid on Thursday at the teams’ demolition site in Trieu Trach Commune, Trieu Phong District. 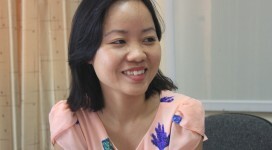 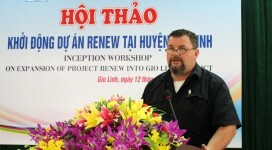 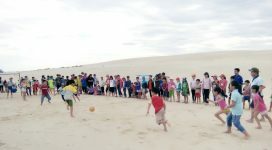 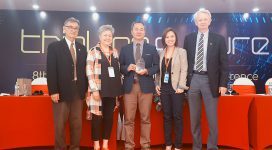 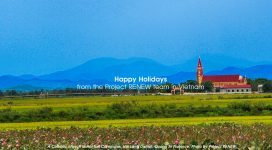 Project RENEW was recipient of the annual “Peace Prize” awarded by the Asia-Pacific Mediation Forum (APMF) at APMF’s annual meeting held this weekend, in conjunction with the Asia Pacific Economic Cooperation (APEC) conference held in Da Nang. 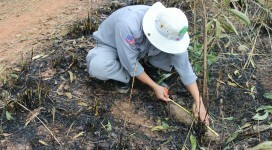 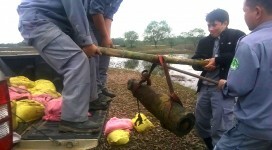 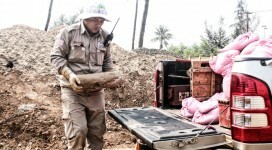 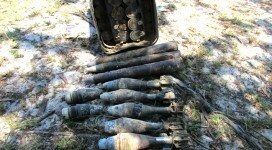 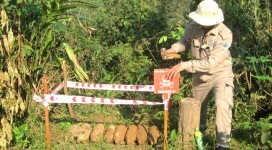 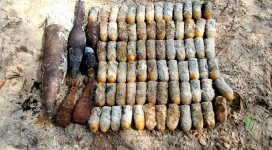 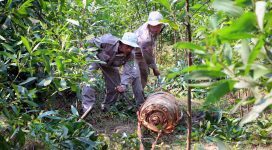 RENEW's EOD Team No.1 on Thursday safely removed over 30 items of unexploded ordnance (UXO) including 60mm mortars and recoilless projectiles from a pine forest in Phu Hung Village of Hai Phu Commune, Hai Lang District. 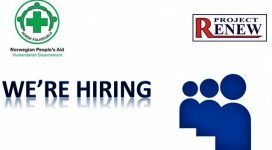 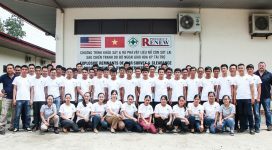 RENEW's 180 national employees, including newly recruited ones, attended an annual staff orientation meeting held in coordination with Norwegian People's Aid (NPA) Vietnam. 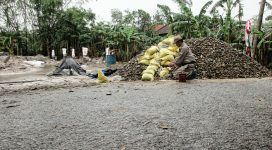 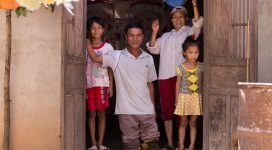 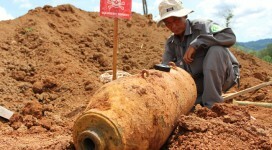 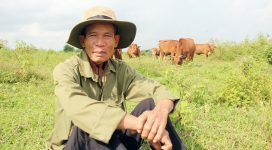 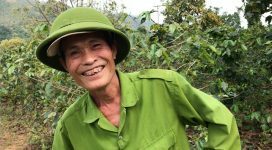 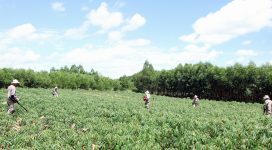 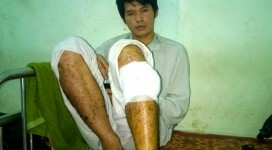 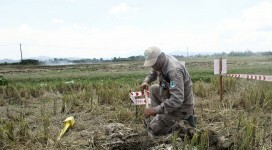 58-year-old Phung Dinh Hao suddendly encountered a deadly cluster bomb while he was clearing weeds to prepapre for a new peanut crop on Tuesday.